Spring break is coming to a close but the fishing is still going strong! It has been a super busy past couple of weeks for me in Estero Bay and Fort Myers, and we have been doing very well on our trips. 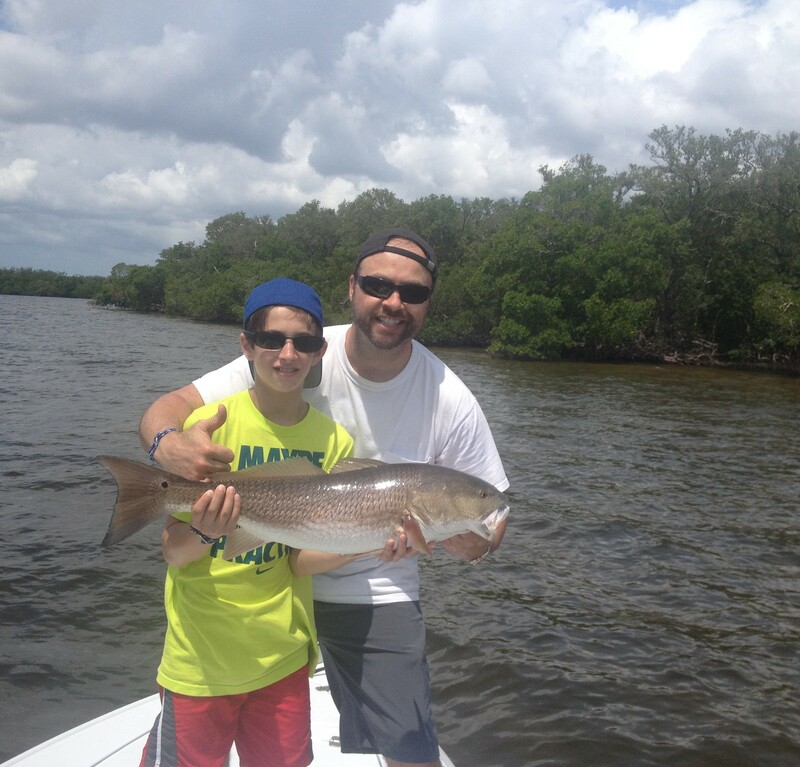 We managed some over-slot Redfish and a couple keeper Snook also. The Snook we released to fight another day. I am a firm believer in NOT keeping any Snook on my charters. They are a valuable resource for us here and any good guide will tell you that there is plenty of other fish to eat if a fish fry is what you want. Most of my trips have been out of Sanibel and we’re fishing either for Tarpon in the early morning or Reds and Snook. All of the fish we caught ate either a threadfin herring or pilchards when you can find them. Same deal as always i just use a leader (30lb fluorocarbon) and a 2/0 Owner circle hook on a 4000 size reel. If you can load up your bait well than chumming with live bait is the way to go. Set up on your fishing spot and grab a handful of pilchards or threadfins, stuff them in to a cut off wiffle ball bat and let them fly. Chumming is a great way to get fish that are already in a hole fired up and chewing, it also helps with fish that are not so willing to eat. Look for fishing to remain strong and the Tarpon fishing to get even better than it is now as we move through spring and eventually in to summer.